Yesterday, I saw that Ice Cream Sandwich (android 4.0.3) is now available on the tablet Asus Transformer TF101. It is the official upgrade over the air. 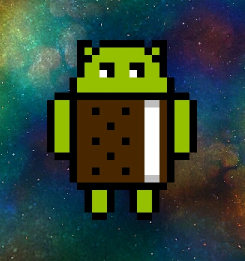 I have made the upgrade and discovered… this new version of Android. I didn’t do a lot of new tests on it. But I would explain what I like or not in future articles. # Article to see how to develop on Asus tablet: Develop with Asus Transformer. This entry was posted in News and tagged android, asus, easter egg, ice cream sandwich, ICS, tablet, TF101, transformer by WakeUp Sun. Bookmark the permalink. If you hold down on the icon it makes little flying ice cream sandwiches, very retro sort of demo scene stuff. Awesome.